Van der Sande will start his new job at JLR's Special Operations unit on June 1. LONDON -- Jaguar Land Rover has appointed Michael van der Sande, currently head of Renault's sporty Alpine brand, to lead its performance and bespoke division, the British automaker said in a statement. Van der Sande, 52, will replace John Edwards as managing director of JLR's Special Operations starting June 1. Edwards will stay at JLR but his future role hasn't been decided, a company spokesman said. The Special Operations division encompasses Special Vehicle Operations, which produces performance versions of Jaguar and Land Rover cars, most recently the SVR version of the Jaguar F-Pace SUV. It also makes low-volume special models such as the Range Rover SV Coupe revealed at the Geneva auto show last month. Netherlands-born van der Sande has led Alpine since March 2016 and was responsible for the successful launch of its first car since Renault revived the brand, the A110 coupe, late last year. Van der Sande joined Renault in 2013 as head of marketing for the company. Prior to that he was chief commercial officer for Aston Martin, a role he began in 2009 after being hired from Tesla, where he worked as head of sales, marketing and servicing. Van der Sande started his automotive career in 1991 working for Nissan Europe's marketing department. He moved to Bentley in 1995. Starting in 2007, he spent 12 years working for the U.S. motorcycle manufacturer Harley-Davidson, rising to managing director of the firm for Europe, Middle East and Africa. Van der Sande is the second high-profile executive to leave Alpine. The brand's head of vehicle engineering, David Twohig, was hired by Chinese electric vehicle startup Byton to lead its engineering team. He started his new job last month. John Edwards has led JLR's Special Operations division since 2014. Prior to that he was global brand director for Land Rover and head of Land Rover for the UK and Europe. "John Edwards will be sorely missed. 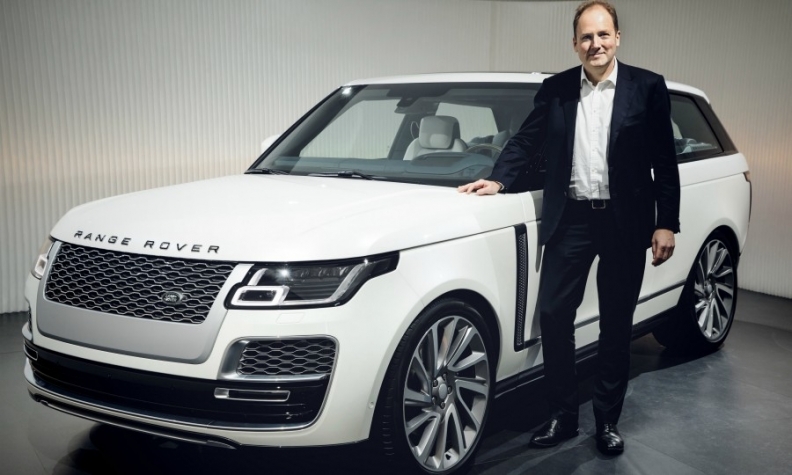 He has been a remarkable leader, serving Jaguar Land Rover with distinction for 27 years and most recently building Special Operations into a business we are proud of," JLR CEO Ralf Speth said in the statement.